Brexit What does it mean for the US and Ireland? Keynote Speaker: E.U. scholar Prof. Gráinne de Búrca, author of the seminal text "EU Law: Text, Cases and Materials" and professor at NYU. Guest Speaker: Prof. de Burca was joined by Dino Korca, President of the EU National Institute for Culture and Director of the Albanian Institute of New York. Moderator: Siobhan Brett, an Irish journalist based in New York, of the Sunday Business Post, Institutional Investors' Financial Law Review and Mergermarket, among others. On May 3, 2017, the IWLF gathered to discuss the consequences of the referendum on the United Kingdom European membership, or “Brexit” held on June 23, 2016, that resulted in 51.9% of British voters opting to leave the European Union. De Burca cited the underlying anti-European sentiment for the years, even decades, prior to the vote as one factor leading to the impetus for Brexit. She suggested the reluctance to embrace Europe could be traced to a perceived exceptionalism which had always set the Kingdom apart, with examples ranging from the county’s refusal to jettison the sterling and adopt the common European currency, to a general sense of exclusion from the outset of its application for membership to the Union. De Burca noted that there were no obvious tangible economic results or benefits propagated by campaigners urging a “Leave” vote, simply a nebulous concept of regaining the nation’s sovereignty, and a ‘feeling’ of independence. The sense of surprise of the rest of the world to the referendum’s result, in light of this history, Prof. de Burca suggests, would seem to be naive and unfounded. Challenges for Ireland and the U.S.
Prof. de Burca saw the most pressing issues for Ireland in light of Brexit, as the exchange rate; future trade agreements; and the border between the Republic and the North of Ireland. While lamenting the result of the vote, Prof. de Burca suggested that some positives might result for the economic future of Ireland and referred to the view of some commentators that the movement of London-based financial institutions to Dublin may bring prosperity for certain circles. For the US, she believed that the impacts would be mostly economic, and would hinge around the future trade relationship between the two nations. Mr. Korca gave a succinct overview of the troubling effects Brexit could have on unity for the rest of the EU. Korca cited himself as being a thorough Europhile, referring to the stability achieved in the second half of the twentieth century as miraculous, but one who believes that reform is thoroughly necessary. Prosperity in Chaos: How American political disruption portends a golden age for the Arts. Panel: Jean Ward, Amy Lehman, and Jo Backer Laird. Host: Povision of complimentary drinks and hors d’œuvres courtesy of hosts, Servcorp, LLC. 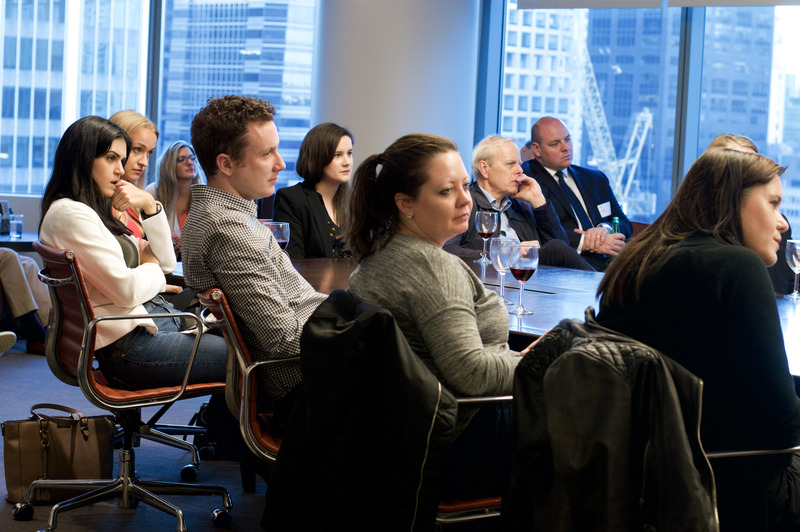 On April 5, 2017, the IWLF welcomed Jean Ward, Amy Lehman, and Jo Backer Laird to lead a discussion on the Arts’ law that considered the implications of the present political climate on the careers of artists and the lawyers who advise them. Jo Backer Laird is of counsel in the art and museum law group at Patterson Belknap Webb & Tyler. Prior to joining Patterson Belknap, Laird spent 10 years as senior vice president and general counsel of Christie’s Inc., where she was responsible for all legal issues relating to the company’s business in North and South America. Laird received her J.D. from Columbia Law School and received her M.P.A. from the Woodrow Wilson School of Public and International Affairs at Princeton. Jean Ward is counsel to the Entertainment Group of Frankfurt, Kurnit, Klein + Selz, P.C. and one of NY's most renowned theater lawyers, with more than 20 years experience in the field. She has been production counsel for Broadway, Off-Broadway and touring shows such as Stomp. Ms. Ward has represented Ireland's Druid Theater company, notably in the commission, licensing and production of The Cripple of Inishmaan. Amy Lehman is Director of Legal Services for the Volunteer Lawyers for the Arts. Ms. Lehman came to the practice of law after a career in the arts. She was a professional ballet dancer before obtaining her law degree from the University of Michigan. She has gained experience advising clients in non-profit corporate governance, negotiating and drafting choreographer’s and playwright’s contracts and license agreements. Amy was selected to Super Lawyers Rising Stars 2014, 2016. 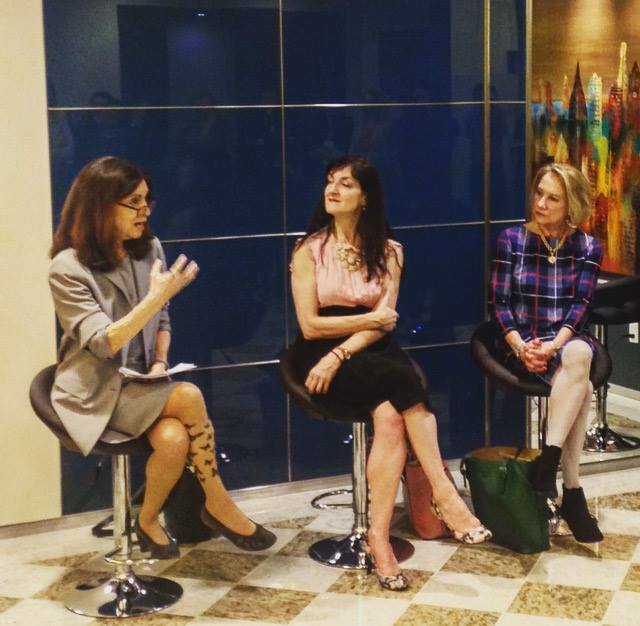 On March 2, 2017, the IWLF held its inaugural event launching the Forum with the intention of addressing the sometimes unique issues facing female practitioners and to provide opportunities to share and make professional, career, charitable, and other connections. 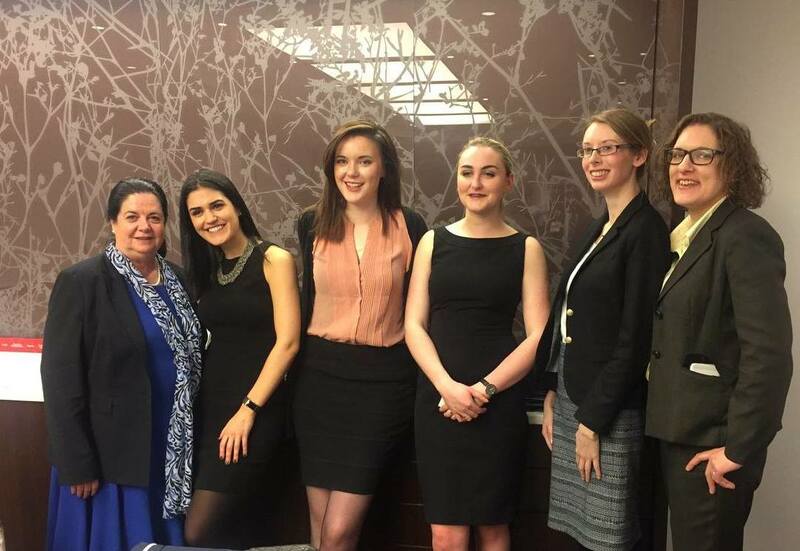 The IWLF was delighted to welcome Sheila M. Murphy, Senior Vice President and Associate General Counsel at MetLife, to spearhead the launch of the Forum and to share her insights on networking for women in the legal profession. Ms. Murphy leads the United States Regulatory and Retail Litigation Unit of Metlife where she provides litigation, regulatory and risk mitigation advice. Sheila was the perfect partner to launch the Forum as she is responsible for talent development for the Litigation Section within Metlife and serves on the Advisory Board to MetLife’s U.S. Women’s Business Network (WBN) and is co-chair of the Legal Affair’s Academy. Sheila has also participated on task forces focused on increasing Legal Affairs’ Diversity efficiencies, effectiveness and engagement. She is a member of the Legal Affairs’ Diversity Committee and participates in its and the WBN mentoring programs.